Today’s how-to might seem advanced, but it’s really not! 2. 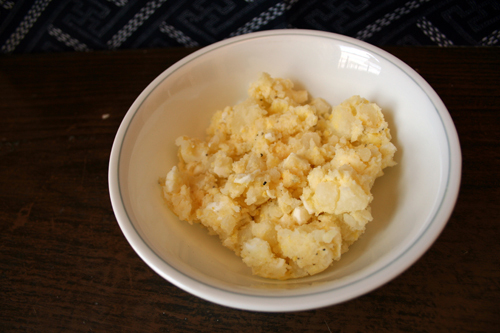 Make potato salad or mashed potato, and cool it down if it’s hot. I usually put potato, boiled egg and mayonnaise in my potato salad, but you can put anything you want. 3. 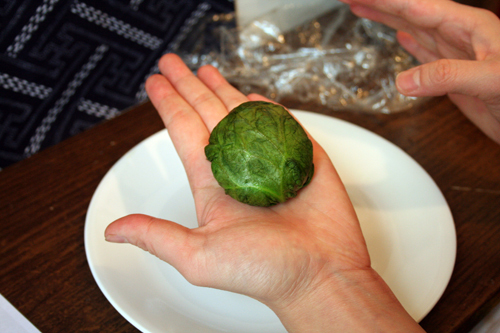 Microwave a lettuce leaf. Dry it very well with paper towel. 5. 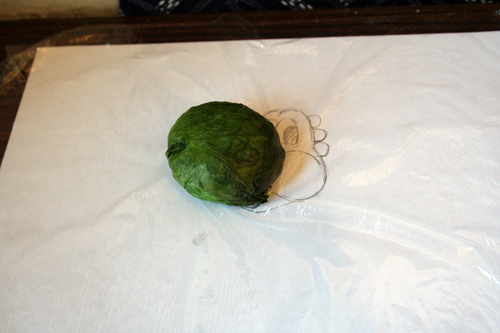 Wrap #4 with microwaved lettuce (#3). 6. 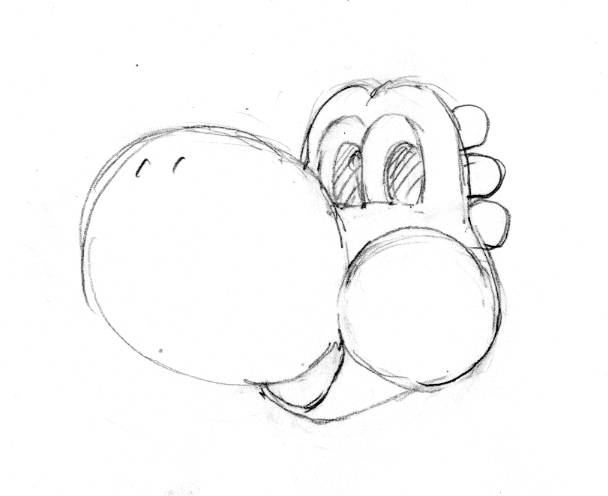 Make a small ball out of #2 for Yoshi’s eye and cheek part, and place it on the drawing and adjust the size. 7. 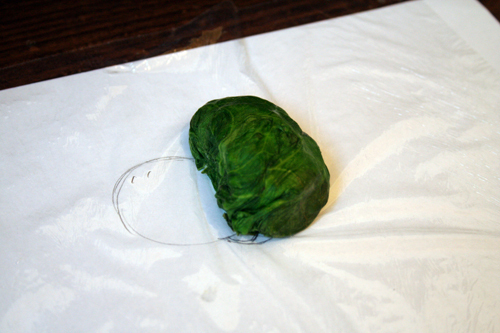 Wrap #5 with microwaved lettuce (#3). 8. Put #5 and #7 on top of the drawing. 10. 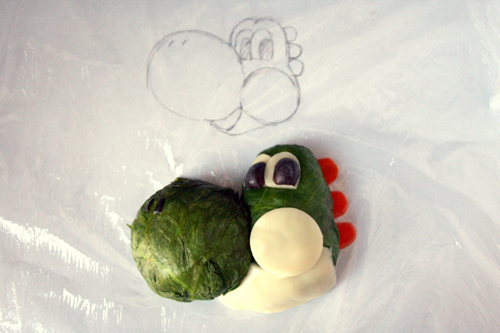 Cut out cheese for Yoshi’s eyes and cheek. 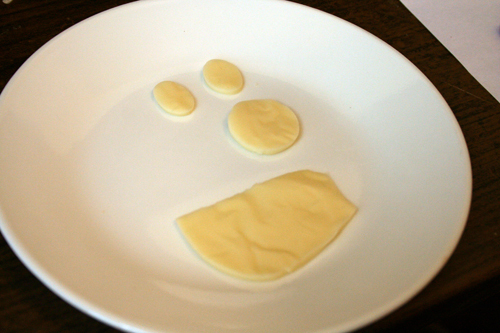 I used a cookie cutter and a bottle cap, but you can just cut out cheese freehand. If you’re worried about the size, you can place them on the drawing and and trim it. 13. Slice a blueberry for his eyes. (I usually use seaweed for all black parts, but I’m sure not everyone can get seaweed at a local supermarket, so I’m using blueberry this time.) 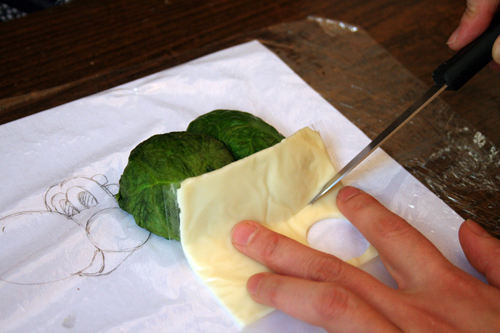 And also cut a bit of blueberry to make his nostrils. 14. Slice a carrot and make his mouth. I didn’t really use any cutter for the mouth. 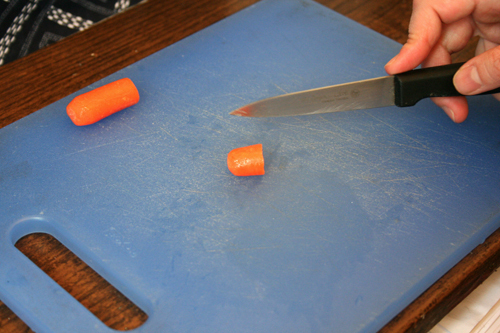 I just sliced baby carrot, and placed it looking at the drawing. Well, okay, he ended up looking kind of like Mr. Sparkle... T_T But if you're making this for a Yoshi fan, they'll get it... I hope. 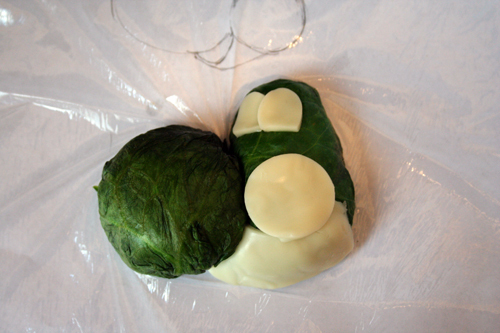 Shaping potato salad wrapped in lettuce is surprisingly easy to do. 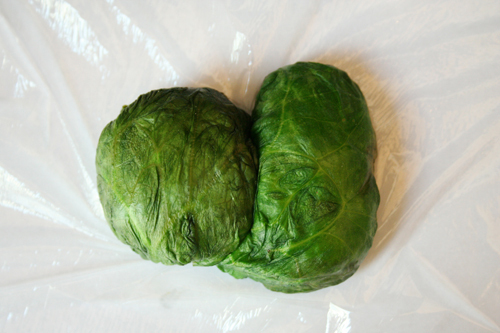 If the lettuce leaf rips, don’t panic, just pinch the ripped lettuce together gently. Or you can just put a piece of lettuce over it. Lettuce turns brown-ish after a while, so I don’t recommend making this the night before. But you can make so many different things with this lettuce/potato salad technique. 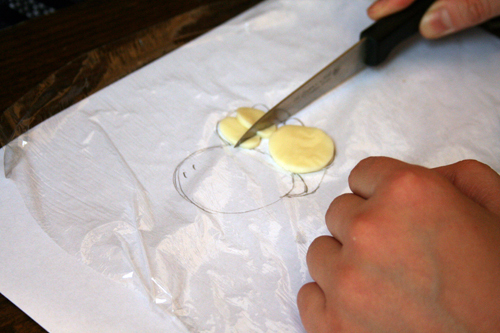 Treat potato salad like clay, and be creative! 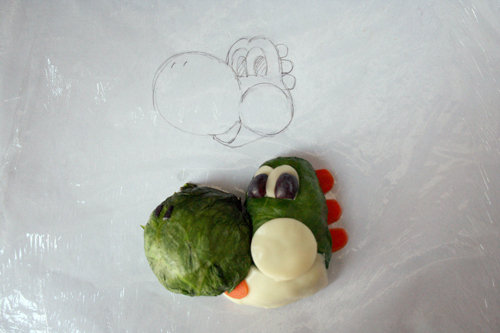 You can see the pictures of “How to make Yoshi” on my flickr page. That is incredible. You are a genius! Incredible! I admire the patience you possess! You are very talented! Although I might not be tempted to eat them, they sure are very nice to look at. Absolutely wonderful! Found you on Flickr. Love the Miazaki stuff, but the SMB stuff is killer, too. You are amazing, and I’m adding you to my sidebar. Oh my gosh!!! My son is in LOVE with anything Super Mario Bros related. I am so going to try this:) Thank you! Thank you for this really cool idea, and for spelling it out so easily, and for adding the pictures, and for putting new meaning into playing with your food!! 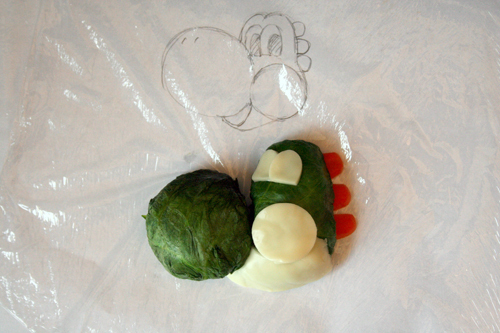 We loved your Yoshi so much we’re featuring him on our site, http://www.CookinTeens.com. Yum, yum. 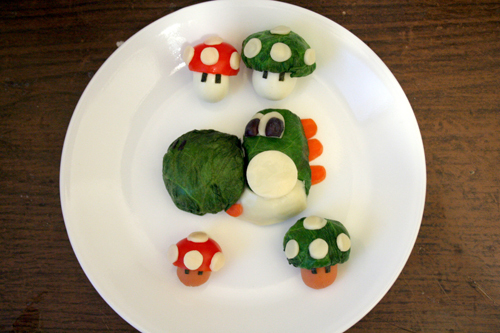 Your Love for Bento and Video Games makes me very happy!